Are you allowing your feelings to drive your behaviors and actions? Ever feel like you just don’t want to go to the gym? Or maybe you’d rather go through the Dunkin Donuts drive through instead of making yourself eggs and veggies for breakfast (like me this morning?). Did NOT “feel” like eating this for breakfast, but now i’m so glad I did. Does choosing one over the other mean that we are not disciplined enough? Or not motivated? I’ve said this a million times, but for me, I don’t think it really has anything to do with willpower or motivation. I don’t think I’m any more disciplined on the days that I decide to grab a bagel than the days that I don’t. 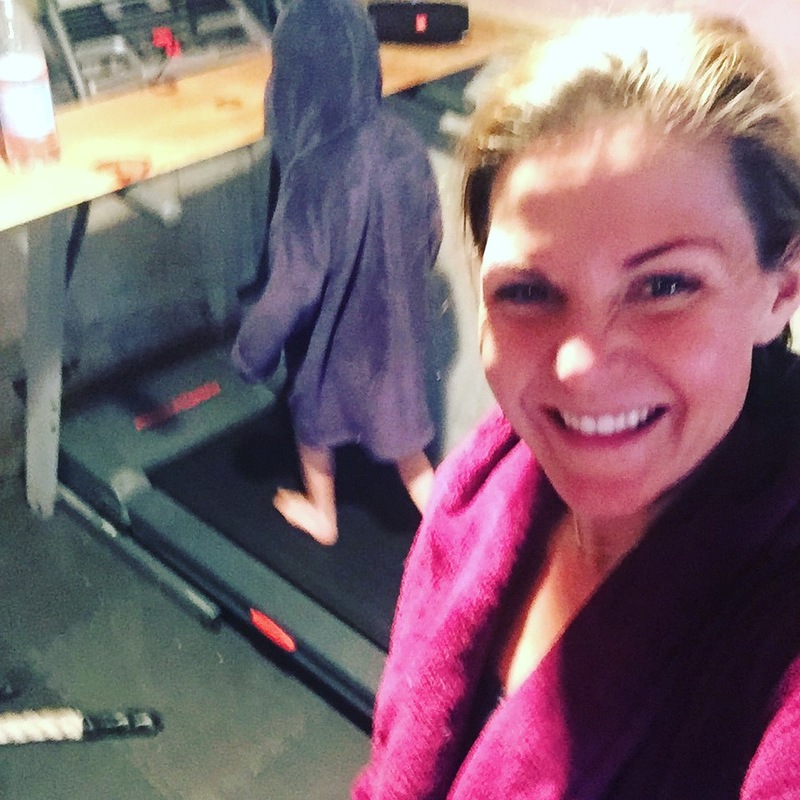 Just like I don’t think I’m all that disciplined when I choose to go down in my basement and workout opposed to doing what I typically “feel” like doing, which is stay in my robe and slippers. In my online coaching group, we try to keep things positive. We aim to not complain about what we haven’t done or the choices we’ve made that maybe we’re not proud of and instead talk about our “small wins”. The choices and actions that we took that we feel really great about. But let’s be real, sometimes you just gotta vent and complain and get it out there. And lately, a lot of what I’m hearing has to do with not feeling motivated. Not *FEELING* like doing anything. Here is where I think the problem lies. We rely too much on our “feelings”. You have probably seen me use the hashtag #juststart. I rely on this “mantra” or whatever you want to call it just about every day. If I’m being totally honest, I hardly ever FEEL like getting out of the comfort zone that is my robe and slippers. I would MUCH rather eat my kids leftover maple and brown sugar oatmeal than cook up eggs and kale. But I #juststart. And once I do that, it is unbelievable how much easier it is to finish. Listen, I was never one to say, “every little bit matters” or “something is better than nothing”. At all. But that was back when I had more time and less responsibilities. Let’s face it, our days are full. Doesn’t matter if you’re a stay at home mom or a traveling business woman – we’re BUSY. And over the years our priorities will shift and change and our schedules and our goals may be completely different. Relying on how we “feel” is a dangerous trap. Think about it like this, did you feel like getting out of your comfortable warm bed this morning? Probably not. But you did it anyway. Did you feel like feeding your kids or making their lunches or doing the laundry or cleaning the bathroom? Nope. I bet you didn’t. But you did it anyway. When you feel like you’ve lost all motivation to eat well. Do it anyway. Just start. 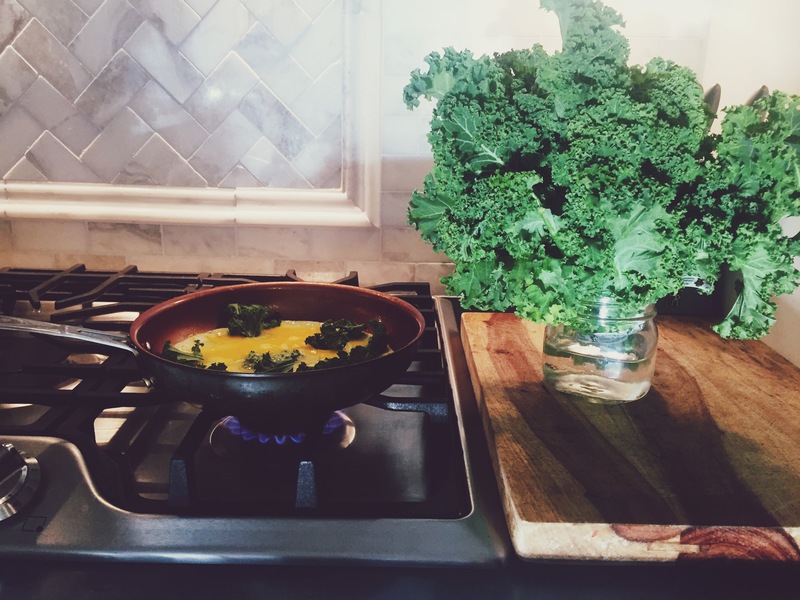 You can always go grab a bagel or finish the oatmeal if you really want to, but my guess is once you make that decision to #juststart eating what you know your body will thank you for, you’ll be just fine. When you feel like you would rather give birth to a porcupine than get a workout in, #juststart. Give yourself 10 minutes. And even if after those 10 minutes you feel like packing it in, at least you got something in. The next time you begin to think to yourself, “I don’t feel like doing x,y and z” #juststart. Make that ONE little promise to yourself to not listen to your feelings and take action just like you do in SO many other areas of your life! I PROMISE you, once you get into that habit, doing everything consistently becomes a hell of a lot easier! ACTION is what creates motivation. You don’t need motivation to start. You just need to start to start. And then you have to keep showing up. It doesn’t mean you have to be “perfect”, just consistent. This will be a 10 day challenge that will provide you with short, effective workouts for those days when you’re just not “feeling” it, a closed FB page for support & accountability, Facebook LIVES where I’ll be touching upon things like how to eat and exercise to balance your hormones, the best “bang for your buck” exercises, consistency, motivation and more!